MANILA, Philippines – Malacanang on Sunday reassured that martial law human rights victims will receive their compensation. “Human rights compensation, in fact, we are now taking a look at all those people who suffered and were tortured…,” said Presidential Spokesperson Edwin Lacierda in a radio interview as the country commemorates the 42nd year of Martial Law today. Lacierda said the government is undertaking such measure to somehow recognize the sufferings of the human rights victims. “This is a humble way of recognizing the sufferings and the difficulties that poor fellow Filipinos suffered during the martial law years. Alam natin d natin makocompensate po,” he said. 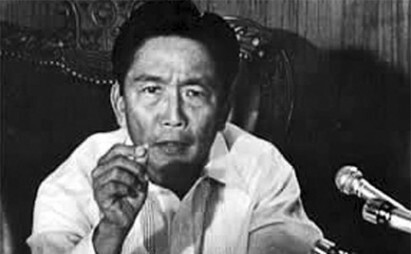 The Palace earlier said that P10 billion worth of compensation fund was earmarked for the victims of atrocities committed during the martial law era under the Marcos regime. Meanwhile, Lacierda underscored the importance of having the younger generation remember martial law. “Let’s enjoy the freedom that we have right now… Ito ay wag natin kalimutan yung kahalagahan ng nangyari dito nung martial law, sinabi na rin ni Pangulong (Benigno) Aquino (III) yun,” he said.